Snow City Arts (SCA) inspires and educates children and youth in hospitals through the arts. 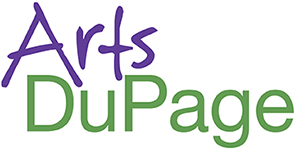 SCA provides one-on-one and small group instruction in the visual arts, creative writing, theater, music, and media arts to patients at Rush University Children’s Hospital, Ann & Robert H. Lurie Children’s Hospital of Chicago, Children’s Hospital University of Illinois, and Northwestern Medicine Central DuPage Hospital. 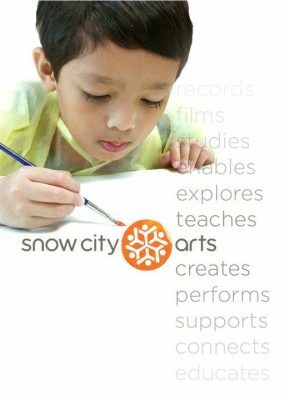 Snow City Arts’ curricula in arts education are steeped in studio practices and work in tandem with the National Core Arts Standards and Common Core State Standards. Student workshops are assessed and extensively documented through a customized database and an extensive portfolio archive. The Snow City Arts team includes a professional staff of 6; an artistic staff of 11 part-time, professional teaching artists; and numerous interns, work-study students, and volunteers. We are a small but dedicated, efficient, and creative organization with a broad reach. other support tasks related to the delivery of Snow City Arts programming. Snow City Arts Teaching Artists are members of our staff on payroll, with guaranteed hours and other such benefits. This position is being hired specifically work at our Northwestern Medicine Central DuPage Hospital location in Winfield, IL. Curriculum Development: Create individual innovative, artistically and academically rigorous, and differentiated project-based curriculum specifically designed for success within a healthcare environment. Project Proposals: Write detailed project proposals that describe and outline clear learning objectives for each project. Meet with the Program Director to discuss each project and ensure its artistic and academic rigor, including hallmarks of excellence in arts education and alignment to learning standards and SCA assessment outcomes. Workshops: Actively seek students and teach approved SCA arts education project-based curriculum through workshops to any and all interested and available students on the pediatric floors of SCA’s partner hospitals, individualizing programming to meet each student’s individual profile. Collaboration: Seek to develop projects in tandem with a fellow Snow City Arts artist, resulting in crossdisciplinary work. Hospital Partners: Develop and maintain collaborative relationships with pertinent staff at SCA hospital partners, including in-hospital teachers, Child Life, etc. Testimonials: Occasionally write and submit narratives that describe exemplary SCA workshops to illustrate our process to external audiences. Daily Documentation: Record all activities, including student information, workshop details, student learning, artwork, planning and programming time and more on a daily basis for an hour in SCA’s custom-built database. Assessment: Regularly complete SCA’s assessment protocol, only opting out when it is medically or educationally inappropriate. School Reports: Work with the Program Coordinator to ensure that all eligible students have complete data in LEO and robust artwork portfolios to be submitted to their home schools, often at the close of a semester. Archival Work: Maintain excellent digital records of SCA artwork both in LEO and in hi-res formats and transfer this data to the SCA master archival database regularly. Releases: Persistently collect as many new releases for new students and annual renewal releases for long-term students as possible. Self-Curation: Collate all relevant works of art and submit the best representations of student artwork to the Curatorial Committee for consideration for Gallery Night, our annual student exhibition, and other installations. Installation Assistance: Provide all reasonable and relevant assistance to the Curatorial Committee for largescale artwork installations. Presentation: Advise Curatorial Committee on best practice for presentation of genre-specific artwork. Curatorial Committee: If interested, apply to sit on the rotating spot on the Curatorial Committee. Attendance: Be present at all monthly staff professional development sessions, unless an approved previous commitment precludes attendance. Presentation and Knowledge-Sharing: With specific objectives in mind, occasionally present to the SCA staff in personal areas of expertise within the field of Arts, Education, or other relevant topics. Share ideas for future opportunities and provide feedback on presentations. Personal Professional Development: Seek out an annual individualized professional development opportunity. Hospital Partners: Complete and uphold the principles of all mandatory education and orientation as required by SCA’s hospital partners and follow all procedures outlined by hospital partners. HIPAA/FERPA: Complete and pass an annual HIPAA Compliance test to maintain understanding of patient privacy and uphold HIPAA-compliant practices in all work. Presentation: Act as an SCA ambassador by occasionally attending outside events and speaking on current projects and best practices at SCA. Special Projects: Contribute to special projects at SCA including conferences, strategic planning, etc., based on availability. Space Maintenance: Regularly organize supplies and workspaces to maintain a professional work environment. The ideal candidate should be able to work both independently and as part of a cohesive team. Key skill sets include: willingness to adapt and work collaboratively; ability to work on multiple projects with varying deadlines; ability to work closely with people from various artistic and administrative backgrounds; excellent verbal and written communication skills; self-motivation, flexibility, accuracy, attention to detail, and ability to meet deadlines. Please Note: All Snow City Arts employees must produce and maintain health records and pass a background check to be eligible to work in a clinical environment. Interested candidates should send a cover letter, resume, one short lesson plan sample, and provide access to an artistic portfolio to info@snowcityarts.org no later than 5:00 pm on October 12, 2018. No phone calls. Snow City Arts is an equal opportunity employer.